Steelseries has been in the gaming audio peripheral business for a long time but has generally come out with earbuds that have relatively the same standard design. Their most recent earbuds however, are completely different and their design does not resemble any audio product that you have seen before. The story behind the Flux In-Ear Pro’s is that Steelseries looked at dozens of different earbuds and eventually came to the conclusion that none of them were comfortable enough. Therefore, Steelseries decided that using a design which is inspired by a hearing aid would be better for long periods of use because hearing aids are meant to be kept in all day long. Right off the bat, I knew that Steelseries was correct in their decision to radically switch up their design of the Flux In-Ear Pro. While it did take a few days to get used to, wearing the earbuds with the cord over my ear and then fitting them into my ears became an easy task and resulted in great sound and a high-level of comfort. There are very few audio products that actually get me excited, but the In-Ear Pro’s offer a higher level of comfort than any other earbud that I have used in the past. Upon using the earbuds for the first time I noticed how impressive the volume was and no matter how quiet the song, I never had to crank the volume. The actual audio quality was fine and was average overall but there was no overpowering bass or any pitch issues, so the sound signature was balanced. If you prefer to use the Flux In-Ear Pro’s in the same way as a regular pair of earbuds, you can do that as well, but I highly recommend putting them over your ears for the best sound quality. One thing to note is that even though these earbuds are not noise cancelling, they do block out most noise simply from their design. Last but not least are the additional connectors and ear tips that come with the Flux In-Ear Pros. Steelseries includes foam tips which work well with the design, however I recommend replacing them every couple of months to keep them clean. There is also an assortment of regular silicon tips in case you prefer them. The In-Ear Pro’s use a flat cord which also comes with a stop/play button and an inline microphone. 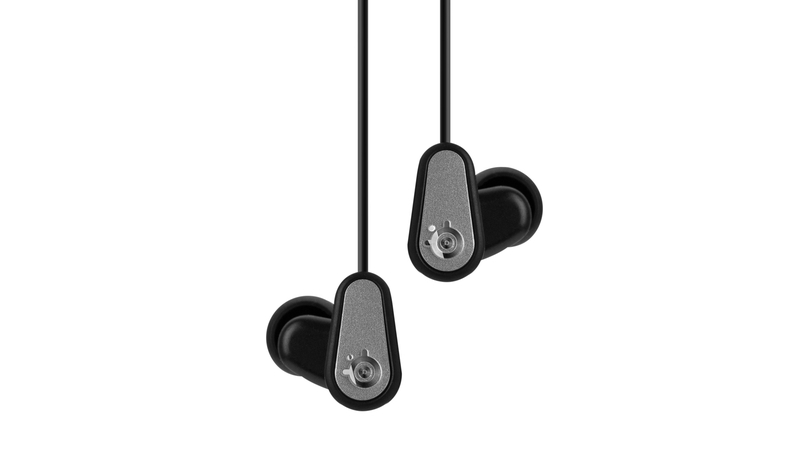 Sure, the Steelseries Flux In-Ear Pro’s are not cheap, coming in at $130, but they provide a superior level of comfort than practically any other earbuds on the market. Sound quality is above average but it is the design and comfort level which truly make the Flux In-Ear Pros worth the money.